The recent publication of the results of the Leaving Certificate examinations in Ireland prompts a reflection from Rachel Lucy from the Cork Life Centre. 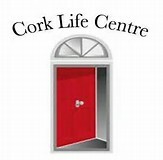 The Cork Life Centre is a voluntary organisation, which continues to receive support from the Christian Brothers, and which offers an alternative learning environment to marginalised young people. The Centre caters for children between the ages of 12-18 years who for various reasons have not thrived or coped in a mainstream educational setting. The Centre and its staff offer students 1:1 tuition in the core Junior and Leaving Certificate subjects and supports them in preparation for State Examinations. The Centre is not officially recognised as an alternative educational setting by the government and therefore is minimally funded. As the reflection points out, whilst the Centre has achieved remarkable success with the young people with whom it works, it is conscious that the young people enrolled in the Centre represent only a small percentage of the thousands of young people who drop out of school each year. Clearly the ‘one size fits all’ approach to education in Ireland is not working. ERI facilitated a submission from the Life Centre on this issue to the UN Committee on Economic, Social and Cultural Rights which reviewed Ireland in 2015, and again raised the issue in a submission for the Universal Periodic Review (UPR ) of Ireland later that same year. ERI will continue to work with the Cork Life Centre in lobbying to ensure all young people in Ireland enjoy their the right to education. © 2019 Edmund Rice International. All Rights Reserved.